"A New Gallery for Local Artists"
Property in the centre of Cheltenham is for the most part very exclusive. No more so than shops in the rather elegant centre of Montpelier. This shopping area already boasts a couple of art galleries, and it is about to play host to a new one. This will be a visual arts gallery with a difference, however. It will be known as the 'Gardens Gallery' and will be located with the newly restored Montpelier Gardens. But it will be no ordinary shop. 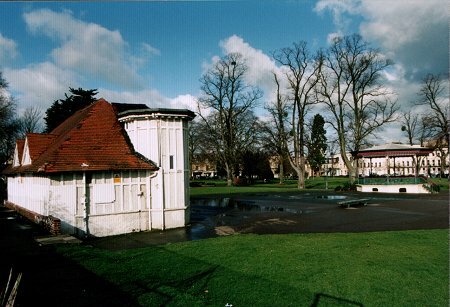 Montpelier Gardens are about to be restored with the help of a grant from the National Heritage Lottery, which was secured by Cheltenham Borough Council. 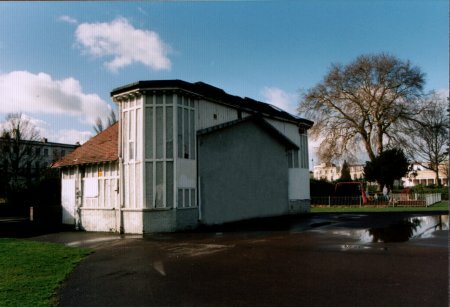 The funds include money to restore a rather unusual building known as The Proscenium, shown above. A group of artists set up a Consortium a few years ago with a view to creating a permanent exhibition space in the town for local artists. They are spearheading the plans to restore this building into the new 'Gardens Gallery'. The building might not have looked too special before the work began, but with the help of the Consortium's architect it is envisaged that a smart new interior will provide an excellent backdrop for a rolling programme of exhibitions hosted by local artist groups. So while the Consortium will run the building on a not-for-profit basis, the actual exhibitions will be set up and managed by individual artists and local groups showing a wide range of paintings, sculpture, photographs, engravings and textiles. Artists/Groups would be required to hang, dismantle and steward their own exhibitions, as well as provide the necessary publicity to attract visitors to the Gardens Gallery during their particular weeks. 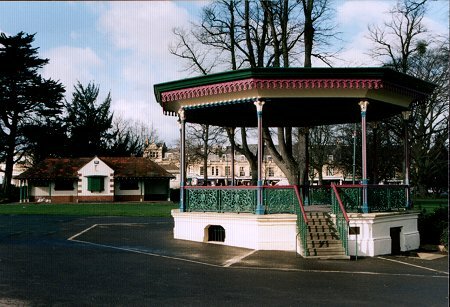 This photo of the bandstand in Montpelier Gardens gives some indication of how pretty the environment could be once properly restored. The park is likely to attract more visitors, with the help of the Gardens gallery itself. After all, the annual Cheltenham Open Air Art Exhibition has already established a fine reputation in the county for great art, and great value for art buyers. A permanent Visual Arts Centre will further the town's strong links with fine art. New developments will be reported on this web page as they emerge. The necessary finance has been found for the 'Gardens Gallery' to go ahead. A contractor has been appointed and work is now well underway, affecting the Proscenium building, and surrounding aspects of the Montpellier gardens. 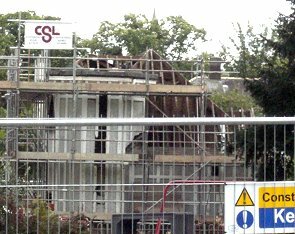 The photo above shows the reconstruction work taking place to the Proscenium. This first exhibition will run from Saturday 9th June until Tuesday 19th June. There will be 133' of linear wall-hanging space in the Proscenium building, including the walls and screens. The Consortium running the project is currently busy raising funds to continue to refurbish the interior of the building, lighting and so on. They are looking to raise about £20,000. Since this page was written, the Gardens Gallery opened and has been putting on consistently excellent exhibitions on an almost weekly basis.